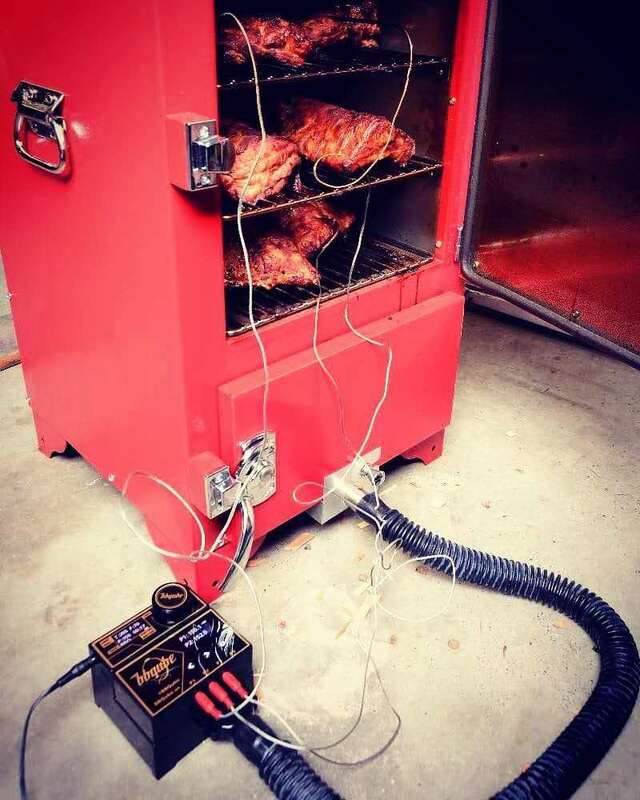 It was last year in Nashville where we first met Mark and his beautiful Red Box Cabinet Smoker. We also met Chase from Backwoods Smokers, whose factory manufactured all these cabinet smokers. Both are great guys and we enjoyed talking to each other for three days at the show (our booths were next to each other). We were not familiar with cabinet smokers so when Mark asked us to take one back for testing we were really stoked. 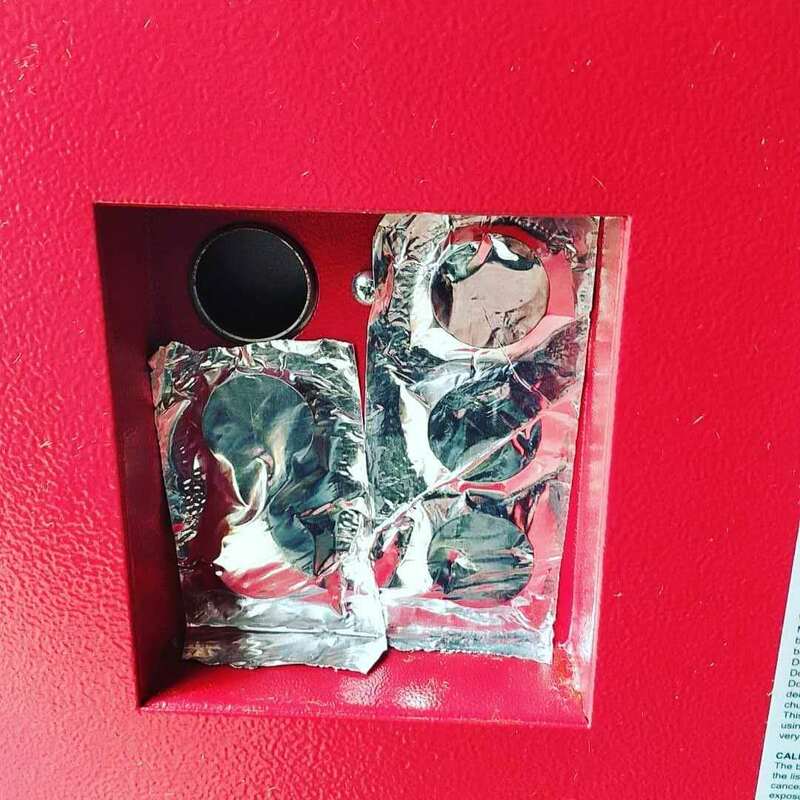 We went to work immediately and made an adapter for the lower vent. We also sealed off most of the vents on the back to keep the airflow tightly controlled by the TempMaster Pro. The result is very good! 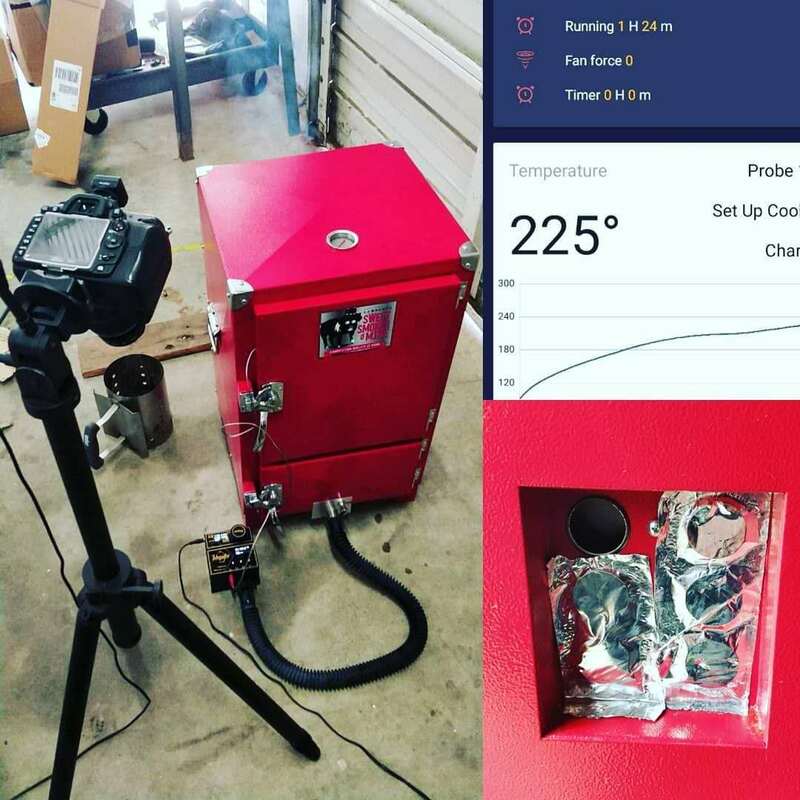 The cabinet smoker gradually approached 225 degrees with no overshoot and stayed at 225 throughout the whole 6 hours of cooking. 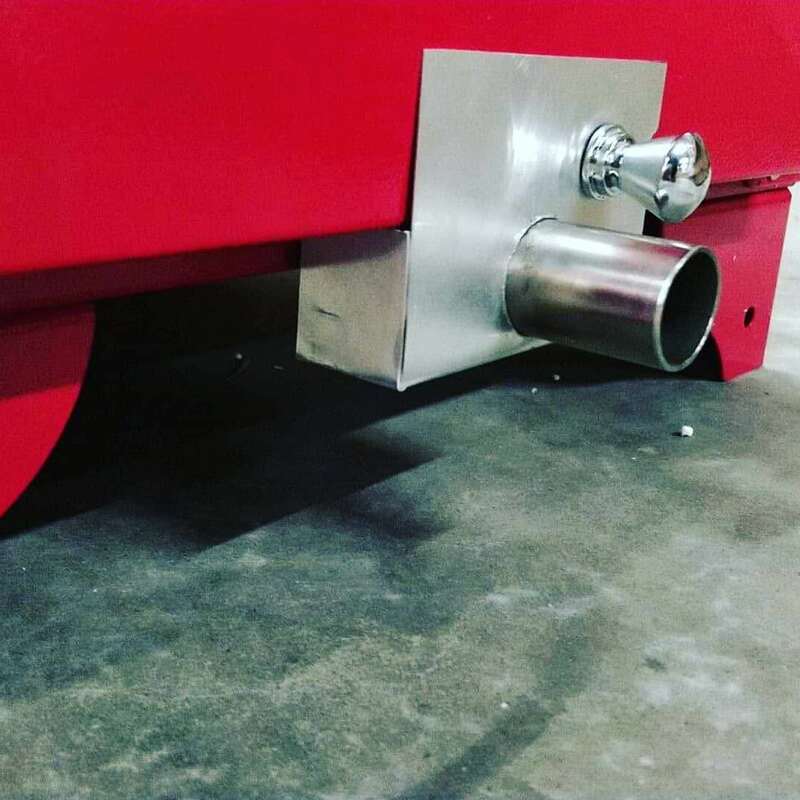 We'll soon be releasing the adapter for Red Box/Backwoods Cabinet smokers. Stay tuned.